The support team always looks forward to the back to school season. Maybe it’s the crisp fall air or the happy faces walking to school each morning. More likely, it’s when we get to help educators tackle another awesome year! Read on for a step-by-step overview of the new support ticketing process and a few back-to-school tips to ensure smooth sailin’ with MasteryConnect. Our team loves to interact with each of you, that’s why we’re excited to offer slick improvements to how you communicate with us. 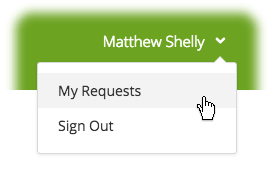 We’ve added the ability to manage your open support tickets from within the Help Center (no more trying to keep an eye on an email thread!). 4. Click the subject line of the ticket to open it. Sometimes a super strict firewall can wreak havoc on the MasteryConnect experience. Please ensure your IT Wizards double-check that the websites listed in this help article are allowed free passage through your network. GradeCam is magical—no question. But that magic is all made possible by the GradeCam plugin. We always test our site using the latest versions of Google Chrome and Mozilla Firefox. Whenever possible, we recommend keeping your browser version updated. Full details about our supported browsers and hardware specs can be found here. 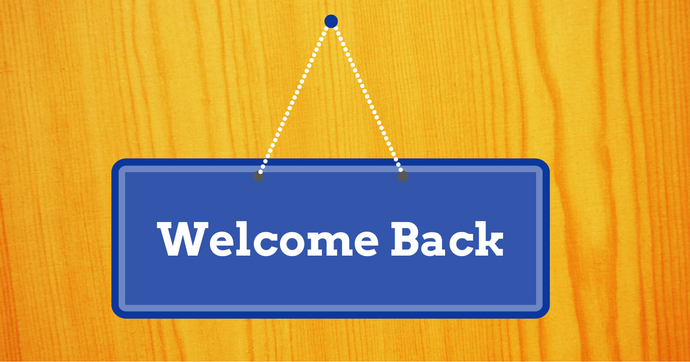 Here’s to another successful school year and plenty of mastery tracking! MasteryConnect helps over 2.5 million educators around the world with formative assessment, standards-based grading, data-driven instruction, and teacher collaboration. Take an on-demand demo to see how MasteryConnect may help at your school or district. 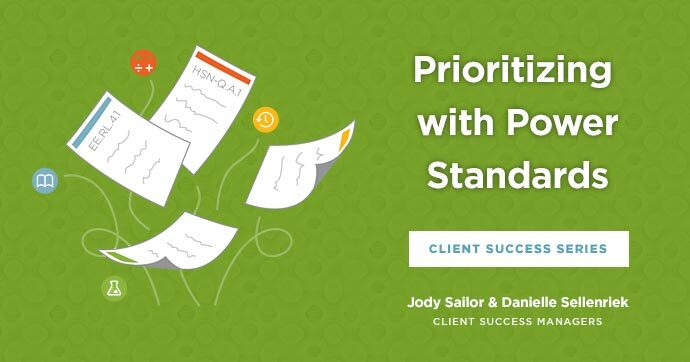 As part of our Client Success series, this is the second of a two-part guide to unpacking and prioritizing standards like a pro. In our last article, we shared our tips for unpacking standards, including the process of determining big ideas and writing essential questions. This week we tackle the tricky question: How do you fit everything in? Regardless of which set of standards you use in your classroom, the sheer volume of material can become daunting. And we’ve all heard the pitfalls of mile-wide-and-inch-deep instruction, which neither saves time nor impacts learning in a meaningful way. Identifying priority or “power” standards is a process you can use to prioritize the content and skills you’ll need to address with your students. But this process is not about deciding what can be eliminated; rather, it’s designed to help you manage instructional time and determine a clear path for student learning. This prioritization process also brings us full circle back to the need for Big Ideas. Let’s take a look at the two types of standards we’ll be working with: priority and supporting. Priority standards are a carefully selected subset of the larger list of standards to be covered in a specific grade level or course that students must know and be able to demonstrate understanding of by the end of the grade-level or course in order to be prepared for the next grade-level or course. Supporting standards are those standards that support, connect to, or enhance the priority standards. They are taught within the context of the priority standards, but do not receive the same degree of emphasis. Just as you followed a process to unpack standards, you should follow one when selecting priority or power standards. It’s best to prioritize collaboratively to ensure priority standards are identified across the team, so students move onto the next grade-level/course with consistent understanding of content. Important note: Again, it is critical to remember that prioritizing standards has nothing to do with elimination; it has everything to do with degree of focus placed on standards. When reviewing each standard you are targeting for instruction, consider the criteria and questions below. If the answers are “yes” for a particular standard, it should be labeled a priority/power standard. Does this standard provide students with knowledge that will benefit them beyond the present? Will proficiency of this standard help my students gain skills needed in the next grade-level/course or even in real-life situations? Does this standard provide students with knowledge and/or skills that benefit them in other learning situations within the current grade level or course? Does it have cross-curricular benefit? Does this standard provide students with knowledge and/or skills that are prerequisite concepts and skills needed to be successful in the next grade-level/course? Does this standard provide students with knowledge and/or skills that they are most likely to encounter on local, state, and/or national assessments? Standards you have not identified as priority/power standards may be supporting standards. These standards often scaffold under a priority standard, much as a sub-standard (content or skill) would serve as a stepping stone to the overarching standard. Once you have identified your priority standards and determined the supporting standards for each, you can begin designing your assessment and instruction. Also, you should now be more prepared to communicate clear learning objectives or targets to your students. Many schools and districts use “I can” statements to clearly communicate learning objectives developed from priority standards, written in student-friendly language. When used consistently, “I can” statements have a profound effect on the learning of students, because students understand why they are learning the material. Let’s go through this exercise with the standard we unpacked in the last article. Let’s say we identified it as a priority standard based on the criteria above, and now we can create “I can” statements to more specifically convey the knowledge and skills tied to this standard. I can define argument, claim, and evidence. I can distinguish between supported and unsupported claims. I can trace an argument in a text. Priority standard identified? Check! Standard clearly communicated to students? Check! You now have a road map for instructional change! You can identify clear targets and enduring understanding, as well as effectively communicate the learning outcomes to students. It’s time to start planning lessons and gathering resources to make a difference in your classroom! To help you get started with this work in MasteryConnect, we’ve pulled together some resources that will provide detailed instruction on how to add your unpacked standards and “I can” statements into your curriculum maps and trackers and how to flag priority standards. 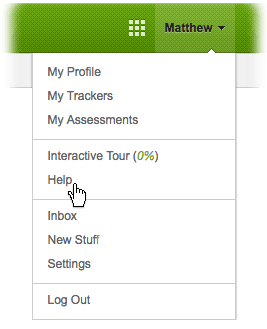 The resources we’ve provided are for both curriculum maps and trackers. However, if you’re working with a collaborative school or district team, we highly suggest doing this work in curriculum maps, then creating your trackers from the maps. For on-site professional development on using curriculum maps for unpacking standards, contact your Client Success Manager. And be sure to check back for the next article in our Client Success Series! MasteryConnect has Over 1 Million Standards!